Now that I have my Cuisinart Ice Cream Maker, I’ve been making all kinds of ice cream lately. 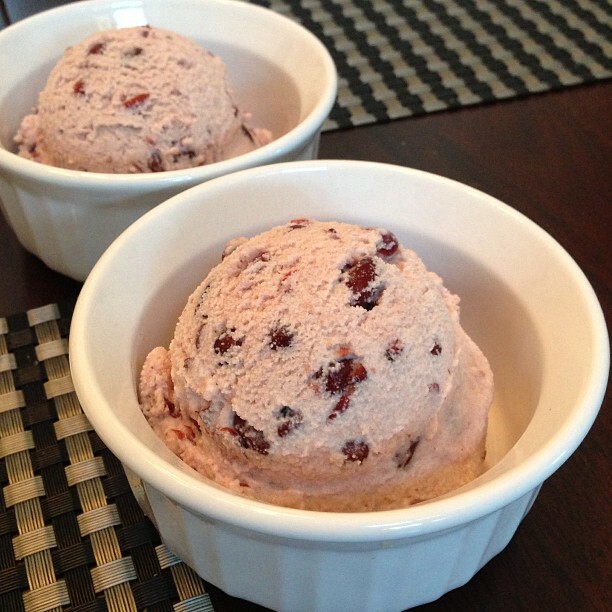 Recently, I posted a recipe for Strawberry Ice Cream – which was really good… but I wanted to try making something a bit harder to find. You can go to the market and choose from a bunch of different brands of strawberry ice cream… but when it comes to Asian style ice creams, there just isn’t much variety to be found! I decided, now that I have the machine to make my own ice cream (I HIGHLY recommend the Cuisinart, by the way)… why not make some of my favorite Asian style ice creams? To start, I thought I would try making Azuki Bean (Sweet Red Bean) Ice cream. Now, I do add sugar to this ice cream recipe… and the resulting ice cream (in my opinion) isn’t overly sweet. 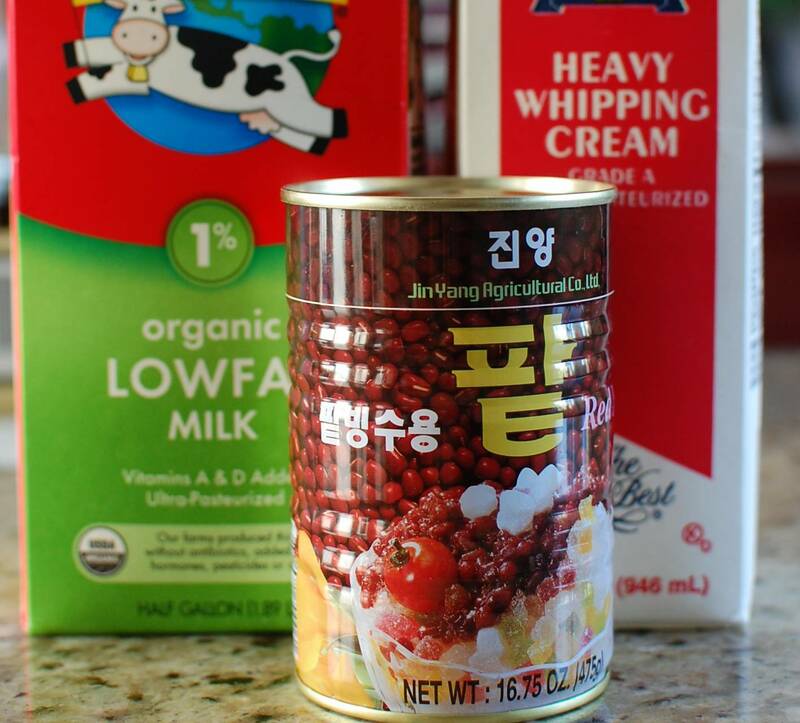 However, because there is so much sugar in the sweetened red bean already, you can experiment and add less sugar (or omit the sugar) if you want. Just taste the mixture before you refrigerate it – and if you need more sugar, you can always add more sugar. 1. 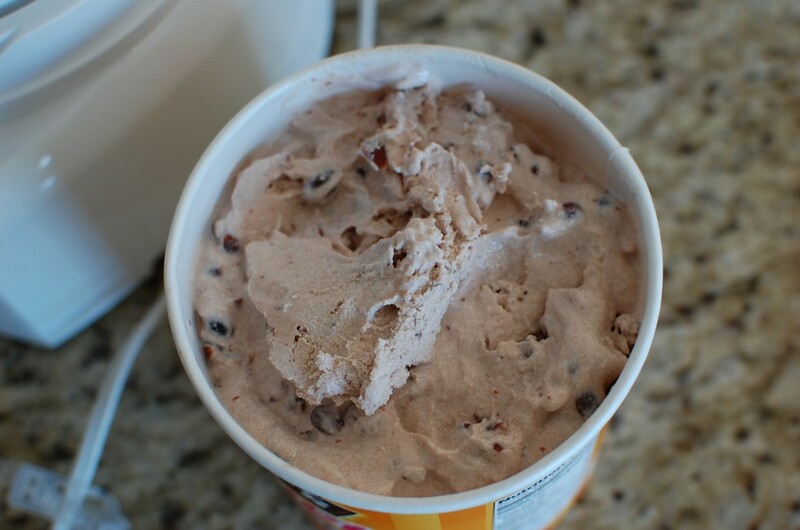 The day before making the ice cream, make sure your freezer bowl for the ice cream machine is placed into the freezer. Mix all of the ingredients into a 1 L. pitcher. Store in the refrigerator overnight to chill. 2. Right before making, remove the freezer bowl from the freezer, set up the ice cream machine, and turn the ice cream machine on. 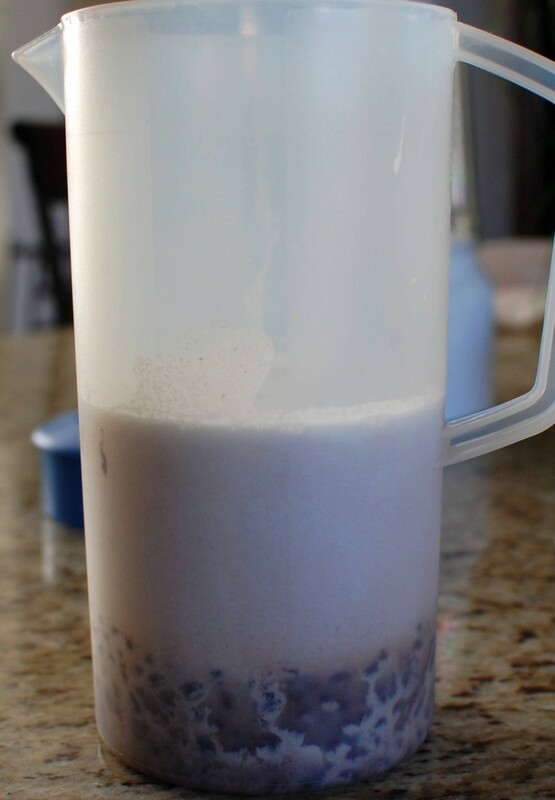 While running, pour your ingredients into the top. 3. Churn for approximately 15 minutes (or as directed by your ice cream maker’s instructions). You don’t use the custard base in your ice cream? Have you ever tried to make Japanese sesame ice cream? Here is an idea, how about Thai Mango coconut flavor ice cream , green tea ice cream? 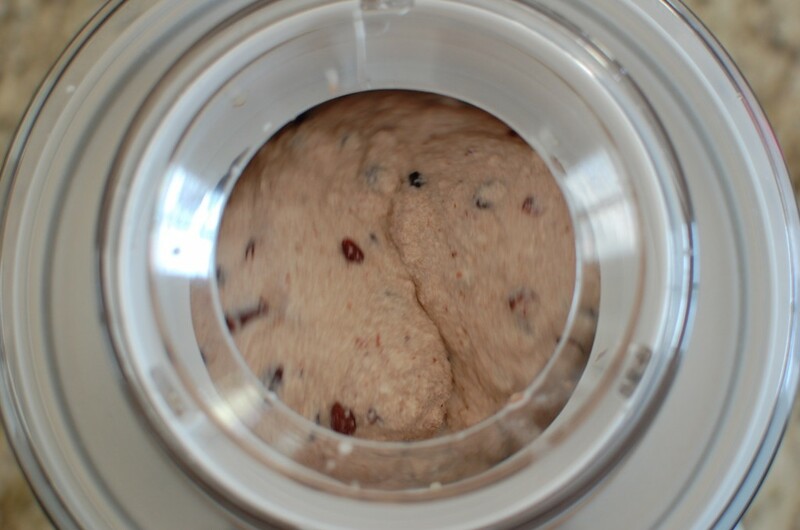 I tried to make red bean ice cream before but the bean tend to turn rock hard after the ice cream freeze. Does your beans hold their shape or do they blend into the ice cream? Also , you might want to invest in a Zak designs ice cream tubs. They are very handy for storing ice cream if you make a lot of flavor and can be transport without seriously melting the ice cream. I haven’t been using a (French-style) custard base for my ice cream…. I’m using an American Philadelphia-style base instead, which is rich in dairy without the addition of eggs. (I have a little nephew who is allergic to eggs… so I’m trying to stay away from eggs in any dessert recipe that I think he might want to taste!) If you eat the ice cream after 4-6 hours of freezing, the red bean is not hard. If you wrap the plastic container with a towel (or use a cardboard ice cream container) the ice cream (and red bean) does not get so hard. If you do find that the ice cream has frozen too hard, you can let it soften at room temperature for 5-10 minutes before scooping. Most of my beans did hold their shape in the final ice cream… some of them ended up blended into the ice cream base, which gave it a pink color… but you can see in the photo above that there are still some visible whole red beans in the final ice cream. Funny you should mention other flavors. I have an experimental batch of ginger ice cream chilling in the refrigerator… we will see how that one turns out tomorrow!. I’m also planning on making macadamia nut, kona coffee, green tea, coconut… and a bunch of other flavors too when I have time. I will post those as soon as I have perfected the recipes. Thanks Mika for the link. That ice-cream tub look really cool too. Look like you are now in a ice-cream making frenzy mode with your new ice-cream maker machine and we are benefit from it. Yummy..Can’t wait to see your upcoming recipes. Great recipe! I’ve been look for a Philadelphia-style (egg-less) version of this that is easy and uses minimal ingredients. The recipe turned out really well, and I didn’t even have to add any sugar since the canned red beans was sweet enough on its own. Looks delicious but —I’m sorry where is the recipe for the “ice cream” i only see what you do once you have the mix of ingredients but no explanation on how you made the mixture? I MUST be missing something? I’m not sure why you can’t see it? It’s very simple. Take a look at the instructions in step 1: “Mix all of the ingredients into a 1 L. pitcher.” All of the ingredients are listed in the recipe, just above step 1 in the text directly to the left of the picture of the can of sweetened red beans. How do you make the mixture? Put all of the ingredients into a pitcher, and stir it up. That’s all. Hi I was wondering, do you drain the can of adzuki beans or do you use the juices as well? I’m not sure what you mean. I don’t use a regular can of azuki beans in liquid. I use sweetened azuki beans (it’s like a thick sugary paste with azuki beans in it), a.k.a “tsubu-an”. Hi there. 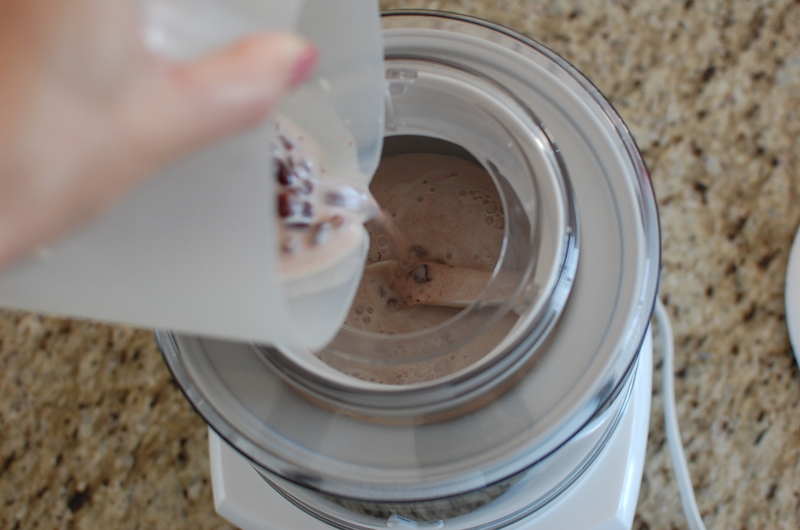 Did your 1.5 qt ice cream maker overflow? I’ve made recipes with less mixture that have overflowed. No, it did not overflow. It comes just up to the top.